The role of adiponectin has been particularly deepened in diabetic muscles while the study of adiponectin in hereditary myopathies has been marginally investigated. 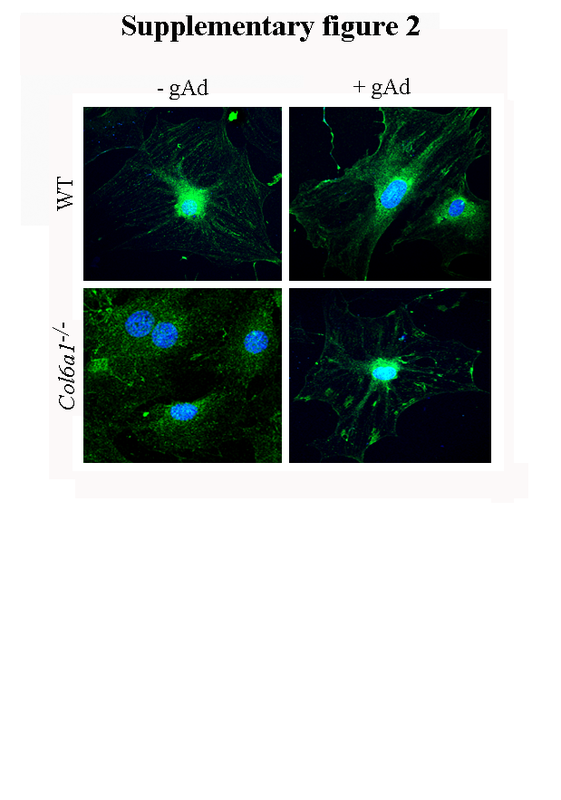 Here, we report the study about adiponectin effects in Col6a1−/− (collagen VI–null) mice. Col6a1−/− mice show myophatic phenotype closer to that of patients with Bethlem myopathy, thus representing an excellent animal model for the study of this hereditary disease. Our findings demonstrate that Col6a1−/− mice have decreased plasma adiponectin content and diseased myoblasts have an impaired autocrine secretion of the hormone. Moreover, Col6a1−/− myoblasts show decreased glucose uptake and mitochondria with depolarized membrane potential and impaired functionality, as supported by decreased oxygen consumption. Exogenous addition of globular adiponectin modifies the features of Col6a1−/− myoblasts, becoming closer to that of the healthy myoblasts. 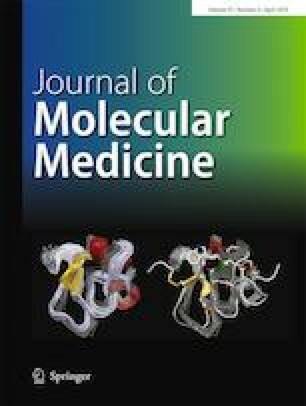 Indeed, globular adiponectin enhances glucose uptake in Col6a1−/− myoblasts, modifies mitochondrial membrane potential, and restores oxygen consumption, turning closer to those of wild-type myoblasts. Finally, increase of plasma adiponectin level in Col6a1−/− mice is induced by fasting, a condition that has been previously shown to lead to the amelioration of the dystrophic phenotype. Collectively, our results demonstrate that exogenous replenishment of adiponectin reverses metabolic abnormalities observed in Col6a1−/− myoblasts. Col6a1−/− mice have decreased level of plasma adiponectin. Myoblasts from Col6a1−/− muscles have impaired local adiponectin secretion. 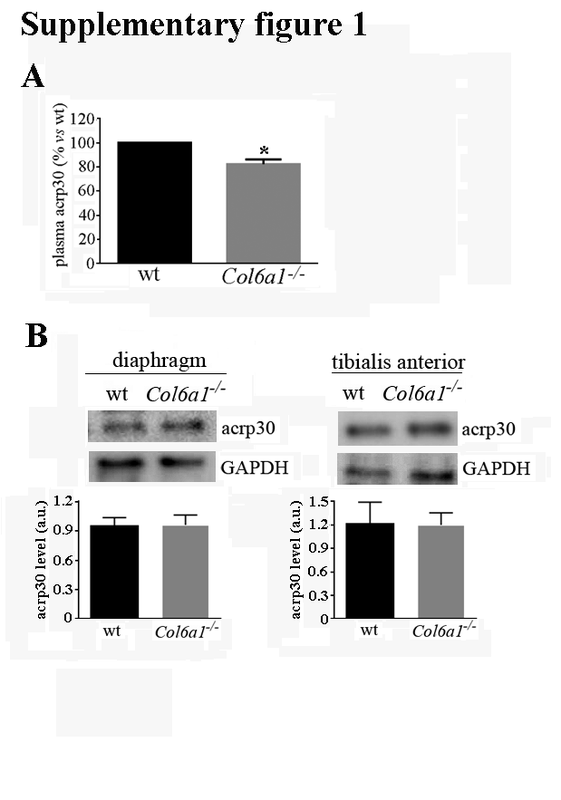 Col6a1−/− myoblasts reveal altered metabolic features. Addition of exogenous adiponectin ameliorates Col6a1−/− metabolic features. The online version of this article ( https://doi.org/10.1007/s00109-019-01766-0) contains supplementary material, which is available to authorized users. This work was supported by the Italian Ministry of University and Research (MIUR). Mouse procedures were approved by the Ethics Committee of the University of Padua and authorized by the Italian Ministry of Health according to D. Lgs. 26/2014 implementing Directive 2010/63/EU.